Little Grace hides behind her mother’s chair as we hear her story. Painfully shy the little girl, though 7 years old, has not started her education. Her mother is afraid that her daughter will never attend school and that she will be punished for “keeping” her child from school though the reason is lack of funds. She herself does not have regular employment. When she does find work it is difficult as there is nowhere to leave her children. 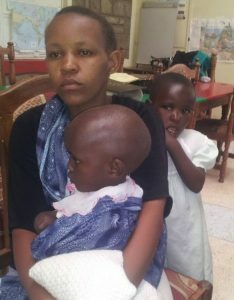 Caught in this dilemma, the mother approached us to help enroll her daughter in Nursery school. 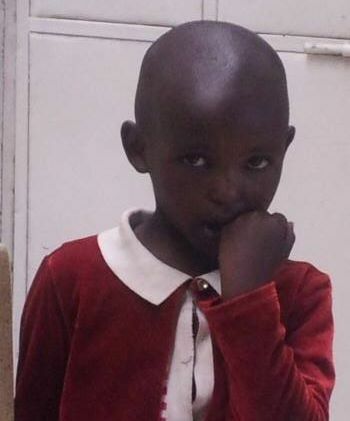 As the public school is quite far and Grace so painfully shy, she needs to attend a small private nursery school close to her home so her mother can walk her to school. Still very shy, little Grace is in school and dong very well. Her mother brought her to visit at JWHS to say THANK YOU. Expanding Opportunities assisted the family in getting Grace into school. Her mother has found another means of supporting her daughter’s education and Grace is no longer in Expanding Opportunities programs.